Target audience: Nonprofits, cause organizations, foundations, NGOs, social enterprises, businesses, educators, journalists, anyone with a Twitter background. With about 150 million active Twitter users making their impact 140 characters at a time, you need to find a way to stand out from the crowd. Before people will read your tweets (for your nonprofit, organization or yourself), they’ll form a first impression. So make a statement that doesn’t say, “I’m clueless” — don’t keep your egghead in the clouds when it comes to personalizing your Twitter page! If the Twitterati are going to take you seriously, you need to upload a profile photo of yourself or your organization and a background image, instead of one of the default Twitter backgrounds. Many resources are available for you to customize your Twitter background, from pre-made to easy do-it-yourself or full DIY customization. Using any of these tools will make your tweets look better and read better. 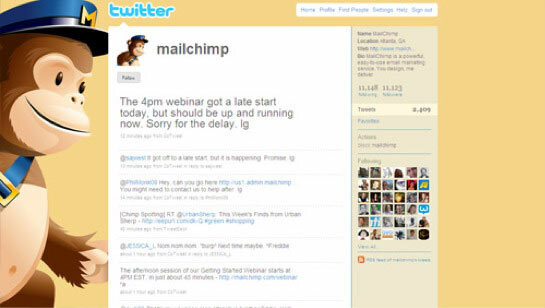 When you type Twitter backgrounds’ into Google, you’ll be presented with innumerable vector graphics and gradient background choices — for example, Twitter Backgrounds.org. However, going the pre-made route leaves little room for customized branding. Your organization’s Twitter page presents an opportunity to make the brand stand out. 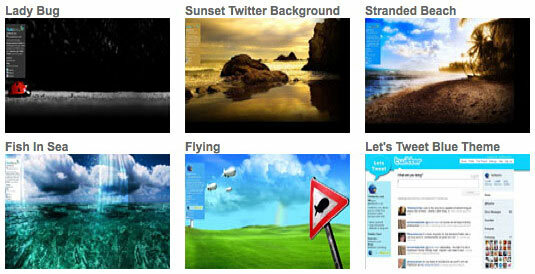 Of course, not all the freebie websites are full only of rainbows, skulls, or fancy birds. Many of them offer personalization tools.